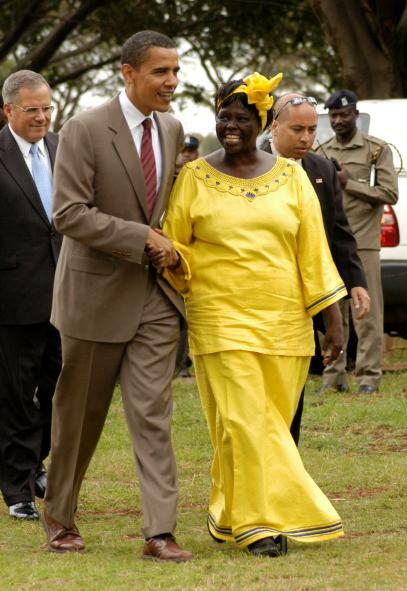 Wangari Maathai accomplished much in her life. Most would list her selection as the Nobel Peace Prize laureate as her greatest accomplishment. But I think what earned her the prize is much more notable: Wangari Maathai planted 50 million trees! One day, when her brother asked why he went to school and Wangari did not, her mother had no good answer. So Wangari went to school—and she never stopped. She excelled at all her schoolwork, finishing high school in Kenya. Then she was fortunate to be chosen for a program that took promising Kenyan students to the U..S. for college. She studied biology in Kansas and then earned a M.S. degree from the University of Pittsburgh. When she returned to Kenya in the mid-1960s, she became a veterinary instructor, later professor and department head; she married and had two children. As part of her work, she surveyed cattle diseases in rural Kenya. The land she found was entirely different from the home she had left years earlier. Subsistence farms had been replaced by corporate tea and lumber plantations, and the farmers had become day laborers, working for wages and buying their food at the store. They were poor, malnourished and hopeless. Maathai was determined to do something about this situation. She decided that she would teach rural women to plant, nurture and sustainably harvest native trees—because, she said, “You don’t need a degree to plant a tree.” She worked with small groups of rural women in first one village, then another, and then another. Soon, her program, which she called the Green Belt Movement, was fielding requests from throughout Kenya to help start tree nurseries and forests. She continued working with these small groups, teaching them to grow trees and, at the same time, teaching them about self-reliance and the power of democracy. Although popular with some people, her movement was not popular with others. Her husband divorced her because she was too independent. The government did not like the attention she was receiving and the anti-government causes she was leading. Maathai recounted that Kenya’s president, Daniel Moi thought “if I was to be a proper woman in the African tradition—I should respect men and be quiet.” She was arrested several times; once she signed her arrest warrant with the blood running down her heard from being beaten. One of her crusades was to protect Uhuru Park in downtown Nairobi. Like Central Park in New York City, Uhuru Park was (and is, thanks to Maathai) a place for the general public to enjoy a bit of green space in the midst of a big city. President Moi decided to build a skyscraper and a monument to himself in the park, but Maathai led protests that led to the collapse of Moi’s plan. For this, Maathai became the subject of assassination plots that kept her living in hiding for months at a time. 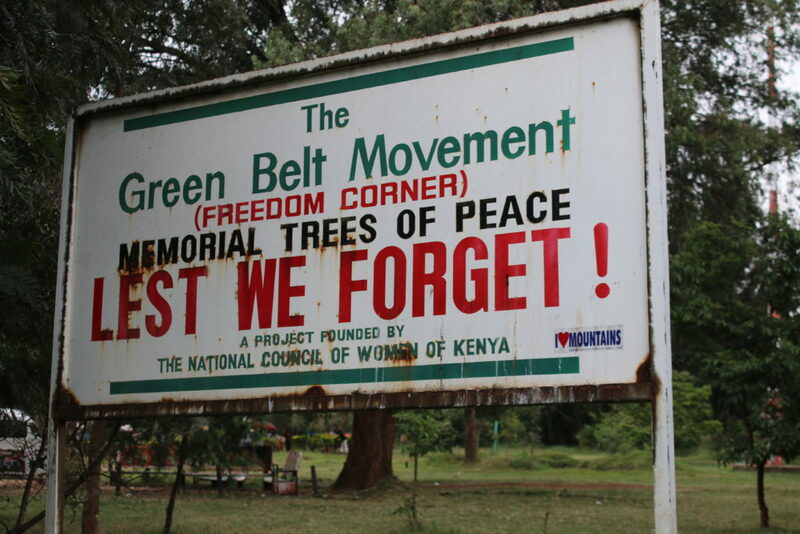 But she persevered and triumphed—a sign in the park still commemorates “Freedom Corner” in her honor. But action, not honor, was Maathai’s mission. She continued working with groups of rural Kenyan women until she had achieved a miraculous outcome—she and her groups planted 50 million trees! She also helped plant tens of millions of trees in adjacent countries which were never counted. She did all this work without the backing of large conservation or aid organizations, instead working out of her home with a small dedicated band of staff and volunteers. Nielsen, Larry A. 2017. Nature’s Allies—8 Conservationists Who Changed Our World. Island Press, Washington, DC. 255 pages.